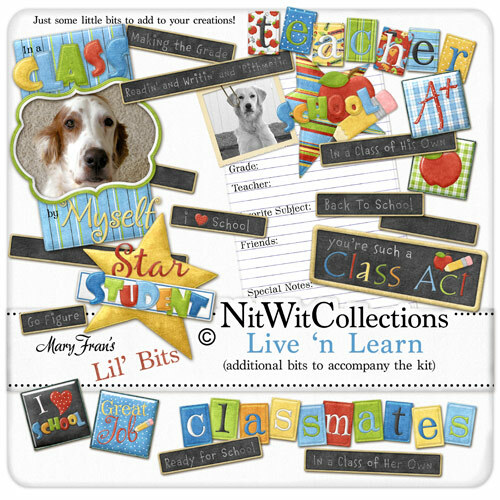 Here are some "Lil' Bits" that are great little additions to my "Live 'n Learn" Fat Quarter Bundle kit. Yup, just some lil' somethin's to add that lil' extra to your pages! 11 chalkwords in various phrases and a few blanks so you can write what you'd like too!